We spent the last four days of Japan in Tokyo. It was the city our friend Chris spent the most time while working in Tokyo so naturally, he became our default Tokyo tour guide. For such a dense city, it covers a surprisingly large amount of area and takes a long time to navigate. 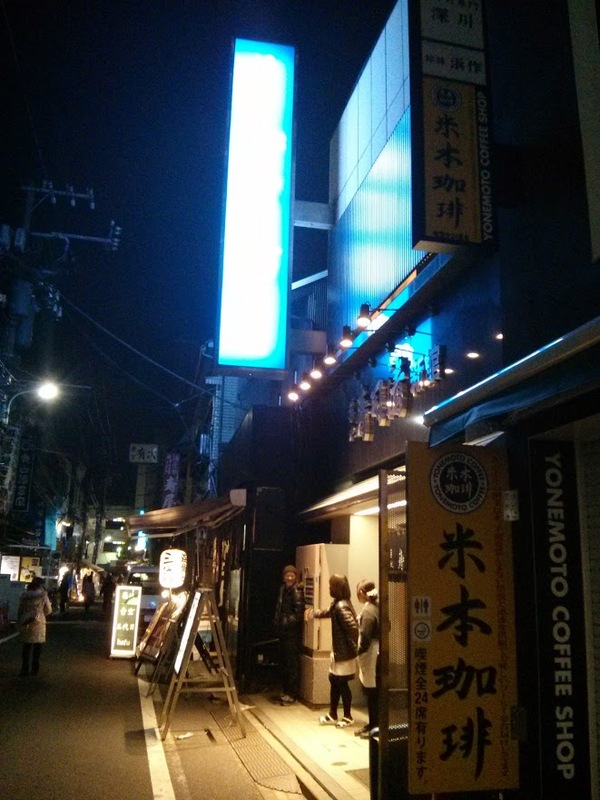 We went back to the Prince Sakura Hotel since it is conveniently located next to the Shinagawa train station. 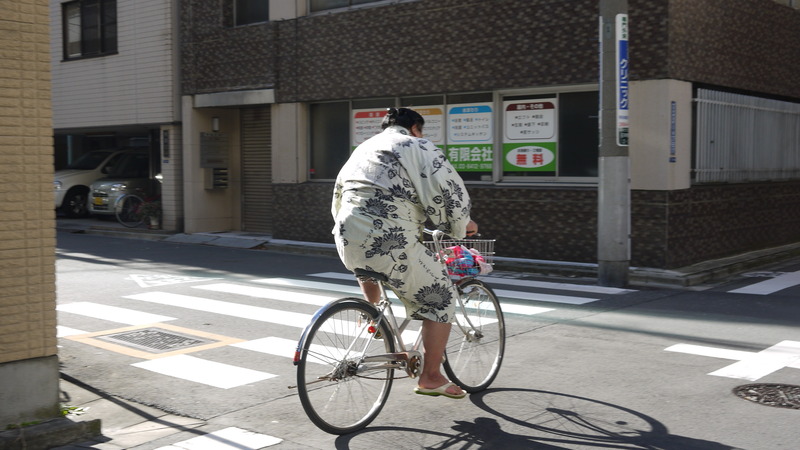 I wanted to watch a sumo match while we were in Tokyo. Since it wasn’t sumo season, our hotel found us a sumo stable where we can watch their early morning practice also known as Keiko for free. Their practice was located in Arashio-beya which takes about 45 minutes to get to from the Shinagawa train station. Practice started at 7AM and ended at 10AM, by the time we got to the place at 9:45, the sumo wrestlers have already finished their practice. 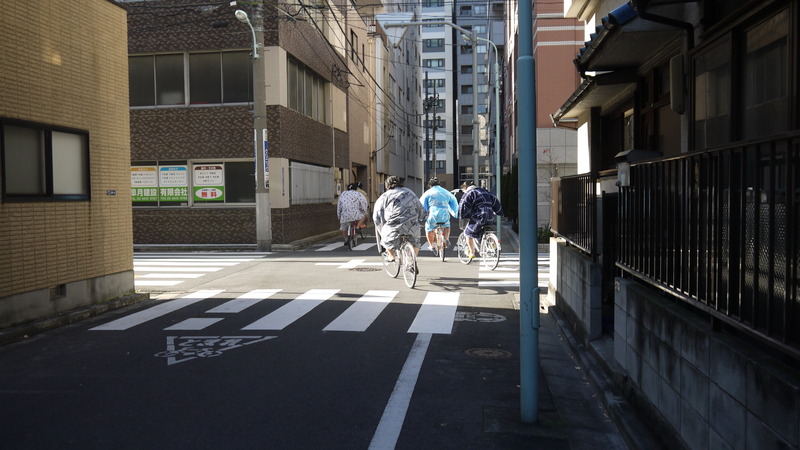 Seeing them leave on a bicycle was not the vehicle of choice I anticipated. After watching the sumo wrestlers bike away, we took the train to the fish market and checked out the various stalls and souvenirs. We treated ourselves with a set of Masumoto knives. 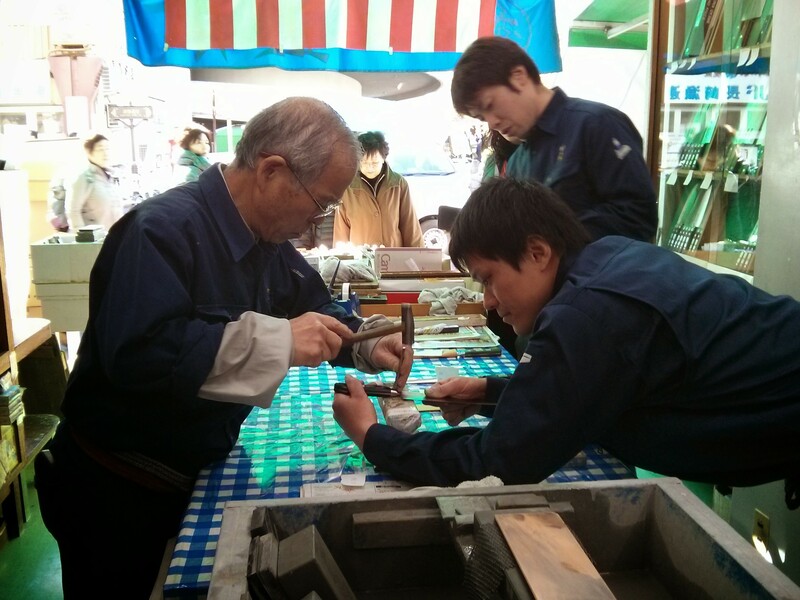 According to Louis, they were one of the few families left in Japan that still hand makes their knives in their shop. The large meat and vegetable knives are about $150 each for the stainless steel and $80 for the carbon steel. Carbon steel is easier to sharpen, however, it is not resistant to rust therefore manually drying the knife after each wash is necessary. Once the knives are purchase, the buyer has the option of engraving their family name on the knife. 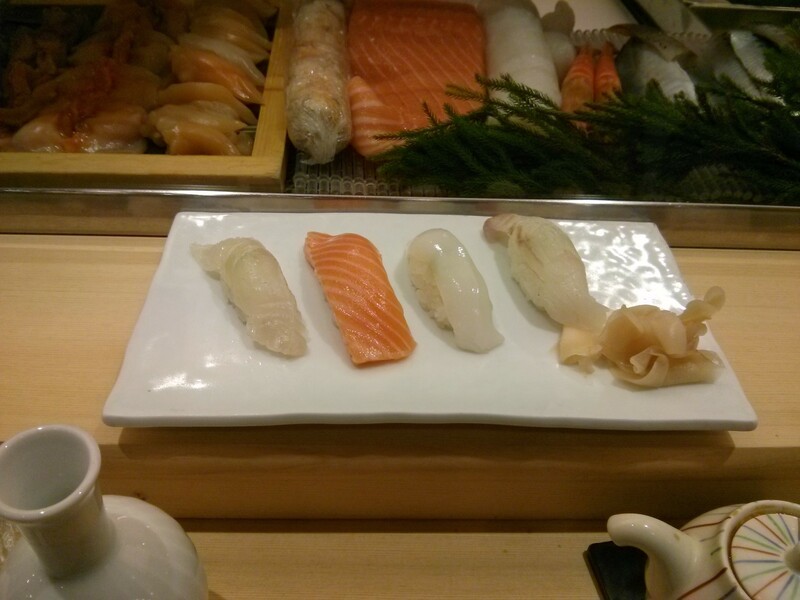 We had sushi that night at the fish market, it is Chris’s favorite go to sushi place. The fish was delicious, for $40 dollars per person, we tried one of everything on the menu. A small sample of the fish. The most memorable piece was the scallop, I’ve never had such fresh and sweet scallops before, it completely changed my opinion of scallops. 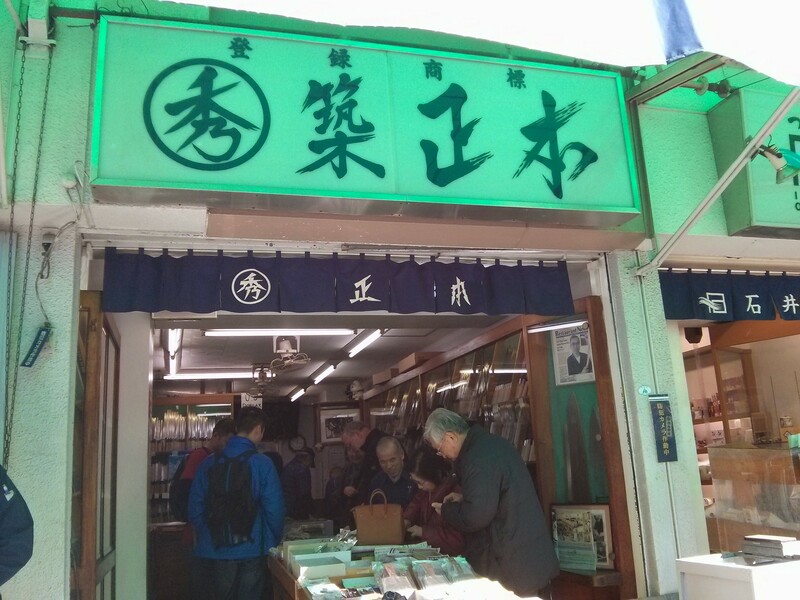 This entry was posted in Travels and tagged fish market, food, Japan, knives, sumo wrestling, tokyo, Travel by hikenoworklater. Bookmark the permalink.